Various Backing Paper And Card Green and Red Gemstones. Greeting Enjoy The Magic Of Christmas. 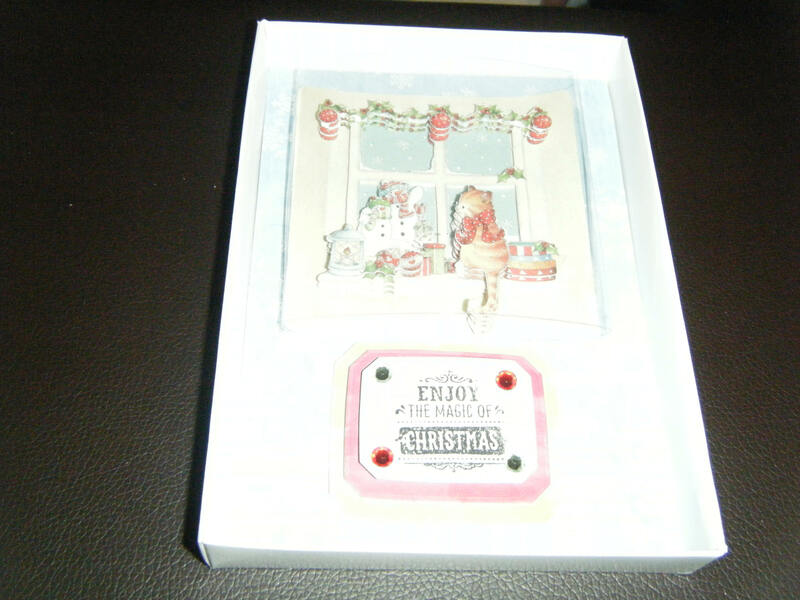 Decoupage Design Ginger Cat Looking At Snowmen. Covered In A Acetate Dome.